The Joyetech Riftcore is truly the first of it's kind with it's revolutionary kind of rebuildable tank. It features an innovative "coil less" build deck with two RFC ceramic elements and molecular heating for a whole new type of experience. The Riftcore tank does not have the traditional build deck, instead it utilizes the two quick heating vertically aligned RFC mesh chip heating elements. That is held in place by vertical hex screws that keeps the cotton mass in place. The manufacturing of this new design is what allows the creator to claim a lifespan of 1 million puffs. 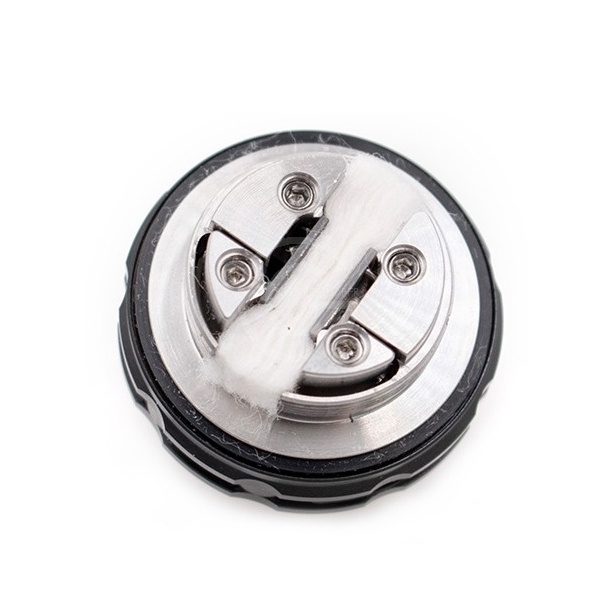 The Riftcore tank totally re imagines how sub ohm tanks ought to be engineered. The Riftcore DUO tank is designed for unlocking the drastically enhanced flavor normally only achievable by complicated tanks. Joyetech genuineness in this design was removing complexity while increasing capability. The coil less design makes changing out cotton a breeze and produces amazing vapor and extremely great flavor. Constructed of stainless steel you're getting a sturdy, ultra high quality tank with an infinite lifespan, with everything included here, your ready to go right out of the box.